Commercial HVAC services in Santa Barbara, Ventura, Kern, Los Angeles, San Diego, Orange, Riverside and San Bernardino counties. Cutting Edge Services, Inc. was founded in 2002 with one goal in mind: to be your source for all your industrial & commercial HVAC needs. 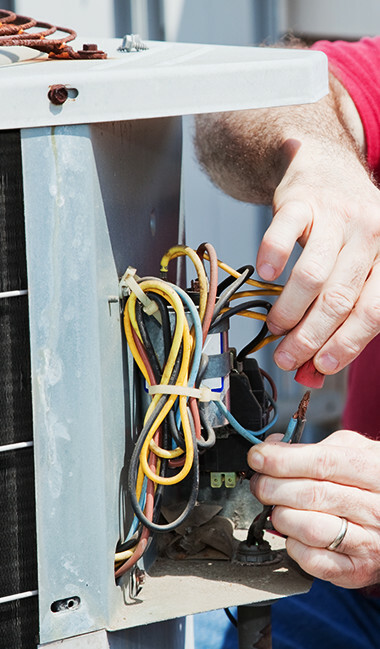 Whether you’re installing or improving an HVAC system for your building, need a comprehensive design or project management, or in need of AC services or repairs we have the expertise to do it right. We specialize in clean rooms, CMM Labs, 3D Printer Labs, COPV labs and any many other processes that require a specific constant environment. We specialize in HVAC design, AC services, equipment replacement, clean rooms, eco-friendly green HVAC solutions, DDC controls, laboratories, dust collection, built-up systems, designing and building projects, process cooling and industrial sheet metal. We work with commercial HVAC systems for all size buildings, throughout southern California. And you are welcome to call us any time, 24-hours-a-day with your questions or concerns at 714.532.5379.